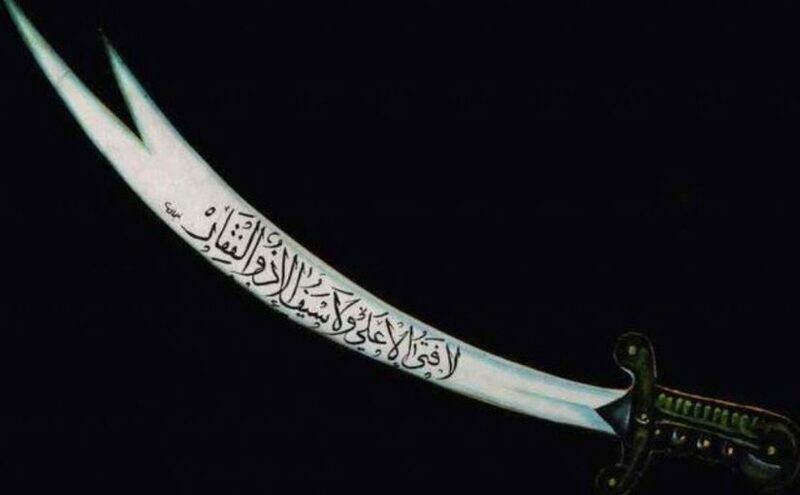 To see zulfiqar sword in a dream refers to show off, a powerful friend, the justice. If you see zulfiqar as clean and brilliant in your dream, it is telling you that by showing your power against your enemies, you will get an achievement which you make your enemies afraid. To see that you hold zulfiqar and use it in your dream may represent that you will come to power and be dominate in your relationship. If you see a person who holds zulfiqar in your dream, it denotes that you will work with a fair boss, lecturer or executive. To see zulfiqar made from glass in your dream may imply that you will rule over a person who is stronger than you and likes show off. You will raise to a position as his/her executive or boss. To see zulfiqar made from wood in your dream may denote that there will be a person who introduces himself/herself as different from the actual one and this person will try to deceive you.